Equity’s Palo Alto apartments are ideal for employees of Silicon Valley tech companies like Accenture, Facebook, Apple, Google, Hewlett Packard and Xerox. They are also ideal for students, teachers and administrators at nearby Stanford University, Palo Alto University and Canada College. 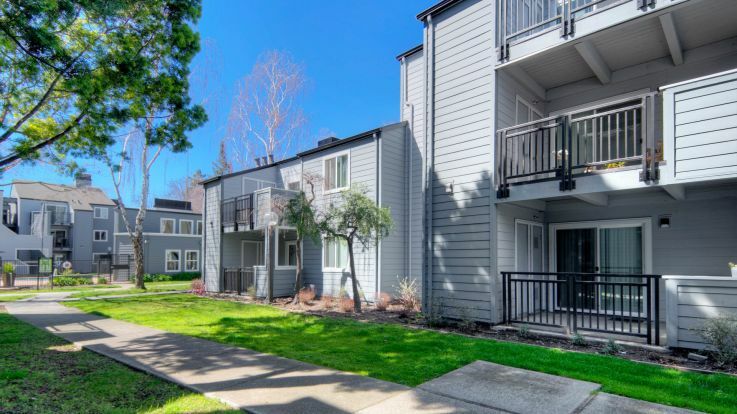 Residents of our Palo Alto apartments are steps from the Midtown Shopping Center and VTA bus stops. Our Palo Alto apartments are conveniently close to the city’s many golf courses and recreational facilities. You can walk to Hoover Park or drive to Mountain View Park to enjoy panoramic views of the Bay. The area boasts a variety of ecological habitats, from marshes frequented by migratory birds to oak forests in the foothills. Palo Alto also has its share of great public and private schools. In addition to being the home of some of the most famous tech companies in the world, Palo Alto has many cultural and tourist attractions. Residents of our Palo Alto apartments can visit the Arizona Cactus Garden, Palo Alto Art Center, Stanford University Arboretum and Packard’s garage, birthplace of the Silicon Valley. Many important artists, musicians and innovators reside in Palo Alto, including Steve Jobs, Mark Zuckerberg and James Franco. Palo Alto apartments provide luxury living at a surprisingly affordable price. The pet-friendly apartments include fireplaces, private balconies or patios, in-unit washer/dryer, linen and walk-in closets, air conditioning and ceiling fans. Palo Alto apartment building amenities include business and fitness centers, swimming pool, hot tub, on-site management, reserved parking and outdoor barbeque and picnic areas. Start living the good life in the heart of the Silicon Valley in one of our Palo Alto apartments. Or if they do not meet your individual needs consider one of Equity’s San Francisco properties in Concord, Pleasanton or East Bay South.